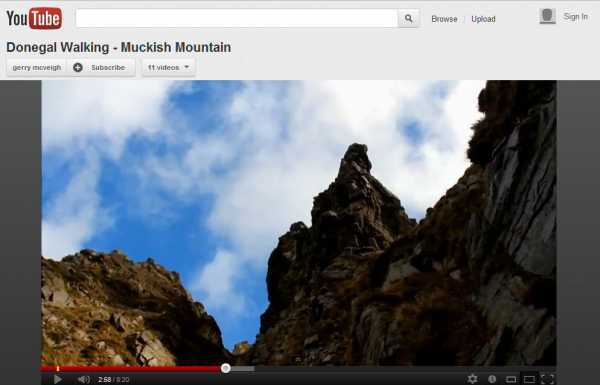 I have not yet walked Muckish but am eagerly looking forward to it after watching Gerry McVeigh's new YouTube video showing an ascent by The Miners' Track (is that our own gerry m?) . The film has the benefit of exceptional light, and it shows off the stunning vistas to their best. I heartily recommend this 8 minute feast for anyone who has any notion of going up that way. Gerry McVeigh says in his written intro: "Walking on Muckish mountain in Donegal, Ireland. A walk in the beautiful Derryveagh Mountains of Donegal climbing up the Miners Track on the northern side of Muckish Mountain. A steep path through old mine working and quarries to reach the summit trig point at 666m. A broad summit gives views over coast, lough, hill and mountain - with a large summit cross, burial cairn and beehive shelter to stop the mind wandering too far afield. Donegal is a special part of Ireland for walking and with a blustery NW wind bringing through showers the only constant was the wind as light & shade, wet and dry, cool & not quite as cool came and went."